Life at Stamping Details: WOW Embossing Powder & Art Anthology Trunk Show has Arrived at Stamping Details! 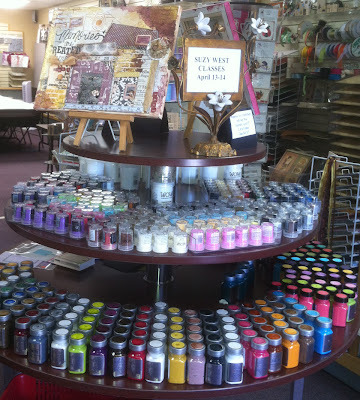 WOW Embossing Powder & Art Anthology Trunk Show has Arrived at Stamping Details! Boy are we excited to have these awesome products in from WOW Embossing Powder & Art Anthology!! Join us this weekend for an awesome trunk show featuring Suzy West! What an awesome weekend it is going to be!! Michael Strong is back this Saturday! NEW Queen & Company Embellishments just in! Garage Sale - May 5th - Sign up Today! 7th Annual So Cal Shop Hop! Wall 'O Ribbon and MORE! Paper, Paper and More Patterned Paper! Brand NEW: Words to the Rescue Books! NEW: Twine By The Yard! Suzy West coming THIS Weekend! New Product JUST IN! WOW Embossing Powder! Bright and Beautiful Distress Class with Clare!